A Tonk's Tail... err, Tale...: GUILT: you're doing it right. I'll just sit here, all alone. Hehehe that face says it ALL! Awwww and who can resist that sweet face? Have a marvellous Monday. Aaawww! Such a face! It won't be that long, sweetie. Well, maybe it will, but, well, keep up the sad look and you might get extra treats later! partee at de tonk's tales place !!!!! ....if ewe guyz got de grill N coals, we got de fish N steak !!! Maxwell, you are the master of the guilt trip!! Maxwell our Mom says even SHE feels guilty! MOL! She left anyway, didn’t she? Hiss. Maxwell, you are SO handsome! 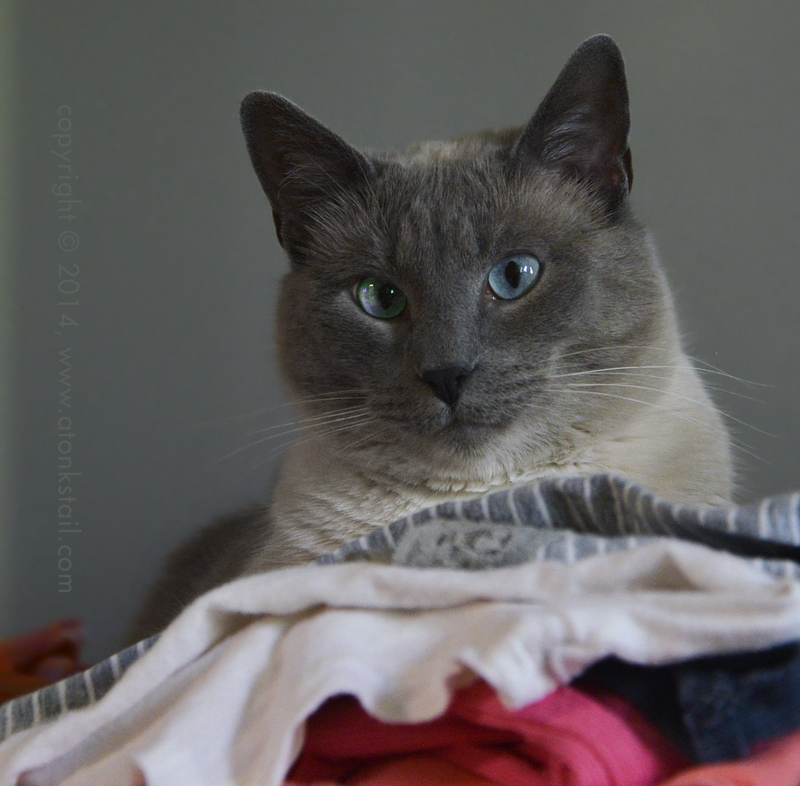 Warm laundry piles are the best places to snuggle in when the humans are away. Guilt. You're doing it right. Even our Mommy feels guilty and she's in Oklahoma! MOL! Clean clothes are the BEST !!! You know how to play the guilt card!